ST. LOUIS (RNS) — Emi Belciak teaches third grade in a tough part of suburban St. Louis, where she says her students are exposed to more violence than any child should be. The school where Belciak teaches is just three miles from the site in Ferguson, Mo., where Michael Brown was killed. Five years have passed, but this part of north St. Louis County hasn’t completely healed. Belciak wanted to do something to help — so she joined a choir. The 75-member choir opens its Monday night rehearsals with group prayer. Next, the choir preps for an upcoming performance or refines a new song. The idea is to get the lyrics and music memorized so the choir can improvise in front of an audience, just like a jazz or blues musician would. 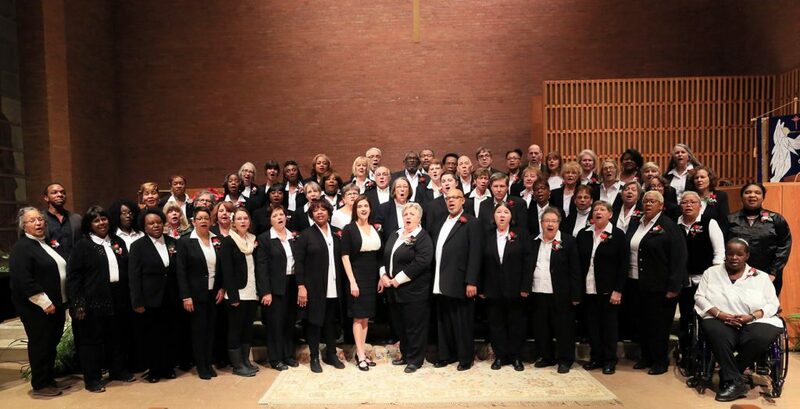 The choir is 40 percent black and 60 percent white, unlike many choirs that are either all white or all black. CGC members often socialize outside of official choir activities, say group members. They go out to eat and sometimes belt out a rock anthem together at a karaoke bar. Most are Christian. For them, singing gospel music is a religious experience. As part of its mission, the group also tries to collaborate with other choral groups of different backgrounds. 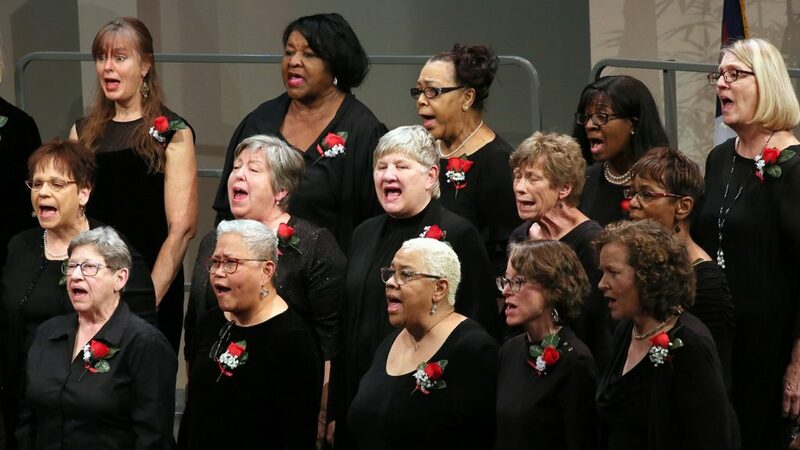 An early March concert matched the CGC with the New Sunny Mount Baptist Chancel Choir (which drew a primarily black audience) and the Ambassadors of Harmony, a barbershop-quartet-style group with a mostly white fan base. The CGC is open to all comers, said Tom Ptacek, CGC president. It had a Reform Jewish rabbi member at one time in its 12-year history and currently has at least two LGBTQ members. Up the Mississippi River a bit from St. Louis, the Twin Cities Community Gospel Choir in Minnesota has a similar mission. It seeks to bridge communities across racial, cultural and economic divides through its soulful interpretation of African-American gospel music. The Twin Cities choir is now in its 26th year. Founder Robert Robinson started the choir at Metropolitan State University to create a diverse community on campus, said Laura Tueting Nelson, TCCGC president. That meant they didn’t sing from scores, but rather followed the oral tradition of listening to how to sing the music properly and repeating it. 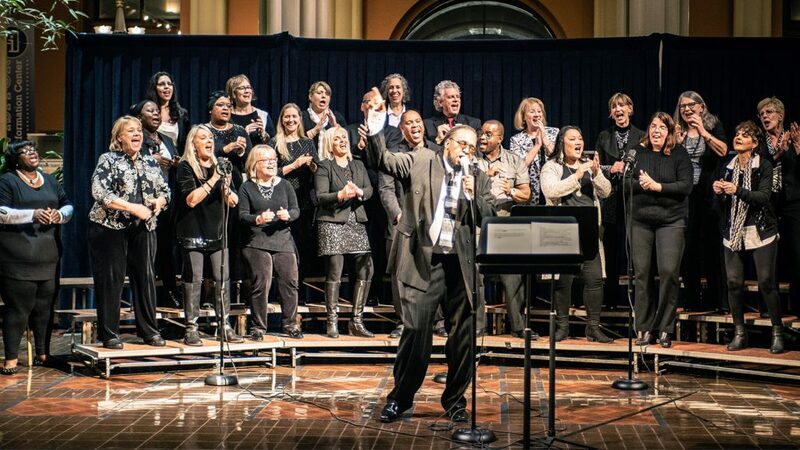 The Twin Cities choir focuses on the cultural and artistic aspects of gospel music, rather than seeing it as a religious experience. 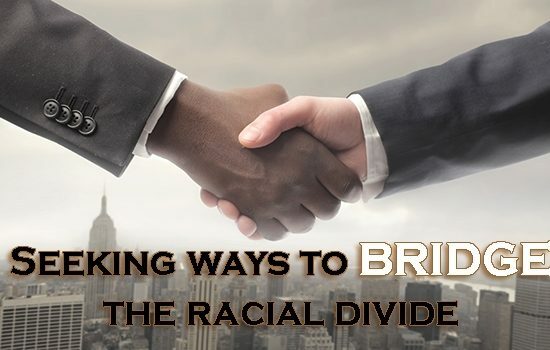 The TCCGC is 20 percent black, representative of its community’s diversity. The group rehearses weekly, like its St. Louis counterpart. 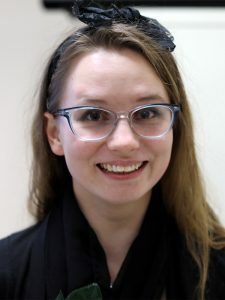 Back in St. Louis, Belciak says being part of the gospel choir has been “therapeutic.” She’s always loved singing and said that getting to know choir members has allowed her to meet people from different walks of life and to hear their stories. It’s a small step toward building a stronger community.